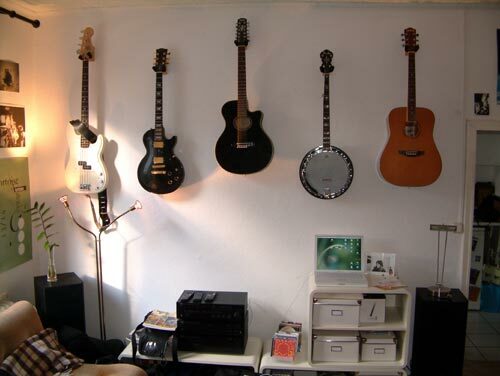 While I was supposed to be taking it easy over the weekend I did do a little home improvement and finally hung some instruments on the wall. I now have lots more space in my room without all those cases all over. It was a lot of work finding the the right Dübel and Schraube combination.